Hartman Roofing and Maintenance, Inc | We Do It Right The First Time! 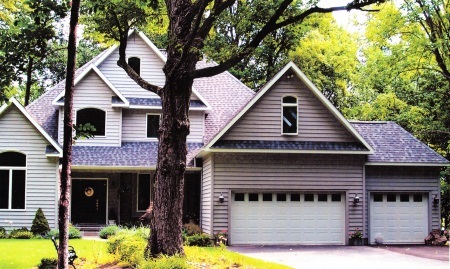 We offer several varieties of roofing products and materials. Our roofing experts can help you assess the best options for your roofing needs whether it is durability, affordability or longevity. Hartman Roofing & Maintenance brings the showroom to you to get the best idea of your wants and needs. Our professional free consultations are the ideal way to ensure a quality new roof or repair. Whether it is a hole in your roof or a whole new roof, call Hartman Roofing. No job is too large or too small. We work with homeowners and businesses of all sizes, from industrial warehouses, to commercial and residential properties. Once our team is hired, you can be assured that your project will be a safe, clean, and well maintained work environment so you can continue your daily home or business operations. 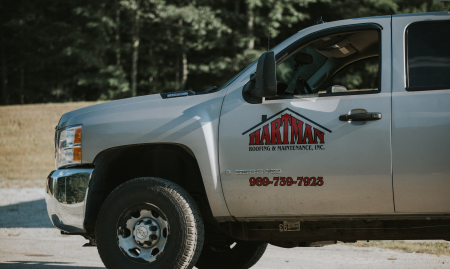 As a family owned and operated business, Hartman Roofing & Maintenance is one of northeast Michigan premiere roofing companies for quality and professional work.